Looking for leaders - usury free creatives who double as SDI (Self Directed Income) entrepreneurs - together we will earn some money and lead people to optimal health and wellness and establish some financial security to advance our mission towards usuryfree living. NOTE: At this time this SDI opportunity is available only to SDI entrepreneurs living in the USA. If you live in Canada or elsewhere, you will have to find a friend with a mailing address in the USA if you wish to enrol. Over 14,000 SDI entrepreneurs have enrolled in only 5 days. NOTE: Instructions to enrol (register) are included in this message AND before you enrol please read the note at the end of this message titled: "Some Important Information for everybody"
Cut ... paste ... add your name and ID# ... and start sending this 'approved' message to your contacts. One of the most UNIQUE and TIMELY SDI business opportunities I have ever seen has just opened the doors for people to pre-register. Great things happen when there is a convergence of timing, vision and value... and this is one of those opportunities which has the potential to radically change your finances, your future and the planet. Over the next 30 days, thousands of people all over the country will lock in their spots with the FIRST EVER Hemp-Based Network Marketing company. Their breakthrough products include the "HempVap" which gets the highly-beneficial CBD compound directly into your body. All of Kannaway's products will be leading edge. • Public awareness of the health benefits of CBD-Hemp-Oil-Extract is reaching critical mass. The media has primed the pump. The timing is ideal. • Scientific research and validation is going mainstream, i.e., Dr. Sanjay Gupta from CNN and his story that aired on 8/11/13. • And there's no better way to capitalize on a "ripe" market opportunity like this than with a well-funded and well orchestrated network marketing program. • If you're open to something new... you can get pre-positioned for FREE as a founder in our organization right now. Our team is wired-in at the top of the company and the official launch date is set for April 1st. The Pre-launch is set for March 1, 2014 – so join for FREE NOW! You are invited to visit http://cbd4us.com and http://mycbdresearch.com for more information about CBD. Fortune favors the bold. Be bold! Take Action NOW! 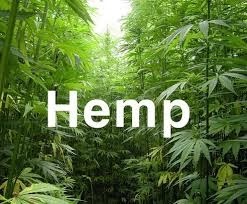 Pre-Launch Executive Summary: CBD-Rich Hemp Oil - The Next Superfood? • This company uniquely positioned to ride the wave of awareness and demand. • This company has access to extensive financial resources. This SDI company is for true leaders ready and willing to share the CBD‬ hemp oil revolution. To ensure success we have to do it the right way to make this an iconic movement. 3. Recruit up and not down, you get what you look for. Talk with proven marketers and better business minded people first.